On her wedding day, Meghan Markle wore Queen Mary's diamond bandeau tiara, lent to Meghan by Her Majesty Queen Elizabeth II. The diamond bandeau is English and was made in 1932, with the centre brooch dating from 1893. The bandeau, which is made of diamonds and platinum, is formed as a flexible band of eleven sections, pierced with interlaced ovals and pavé set with large and small brilliant diamonds. The centre is set with a detachable brooch of ten brilliant diamonds. 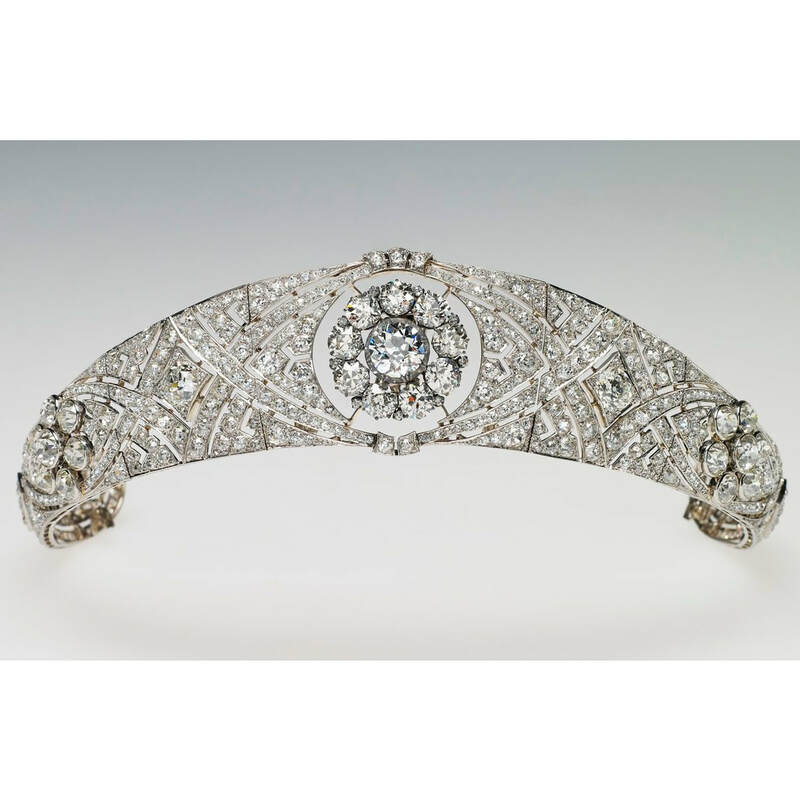 ​The diamond bandeau was made for Queen Mary and specifically designed to accommodate the centre brooch. This brooch was given as a present to the then Princess Mary in 1893 by the County of Lincoln on her marriage to Prince George, Duke of York. The bandeau and the brooch were bequeathed by Queen Mary to Queen Elizabeth II upon her coronation in 1953.